Wow. Saturday was unlike any race experience I have ever had. I felt more emotions than I thought possible (probably because I was running for almost 9 hours) and overcame some really low low times to get to some really good good times. This scene below… it felt so so good. On Friday night I had a rough time falling asleep. I was still coughing a little bit and was getting pretty nervous about entering the unknown. 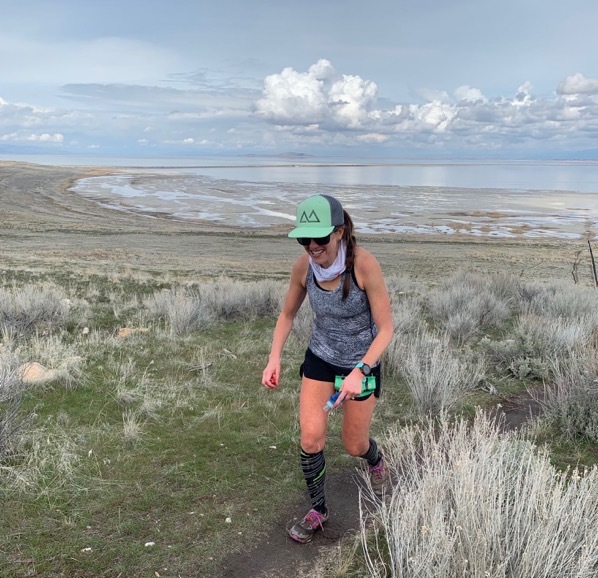 Jumping from my longest training run (33 miles on flat roads) to 50 miles (with some good climbs in there) felt huge to me and I had no idea what to expect… I just knew I had to be crazy smart about my fueling, hydration and pacing if I wanted to finish. 4:15 alarm, I made some UCAN (obsessed with using this before a race) and had a bagel with jam on the way to the race. Andrew drove and it took about 20 minutes to get to the race. It was so nice to stay at my in-laws that night because they live so close to the race and we were able to leave the kids there until later in the morning. We got to the race at about 5:15 and grabbed my bib, used the port-a-potty and hung out for a little while. Andrew & Toby = most supportive and positive crew you could ever ask for. I couldn’t believe how prepared they were. They had every little thing I needed. 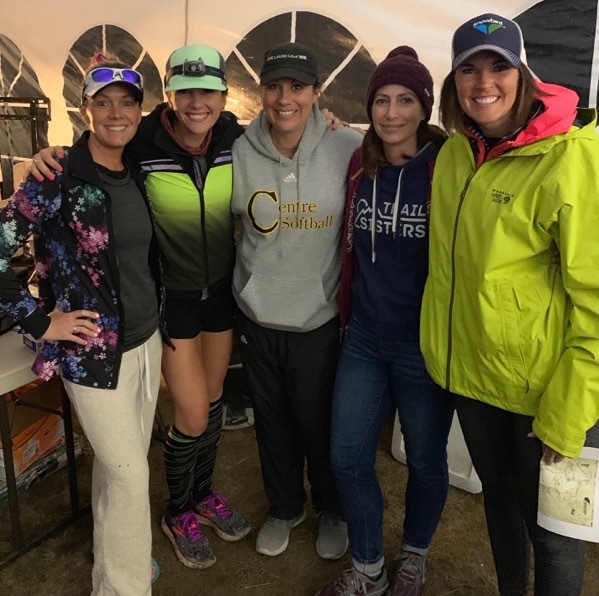 I feel beyond lucky to have had them for the entire day (and all of the time leading up to it too when I would text Toby every thought/question I had about the race ((she has done both the 50 & 100 miler and they know their stuff)). They just knew what I needed to hear emotionally and what things I needed physically (all of the lip gloss reapplications..). This race did not have live tracking so Andrew and Toby tracked the entire time by the Find my Friends app. They could only give me things at the aid stations but I saw them many times outside of the aid stations too. It was so fun to see so many good friends there that I hadn’t seen for way too long too. I snacked a bit in the tent before the race started too. 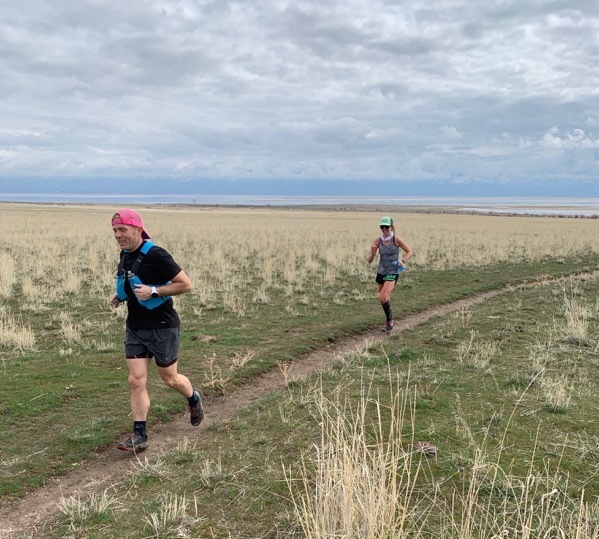 PS that is Toby on the right and you can read a little about her 100 miler here. The race started right at 6:00 a.m. For the first 2ish miles I ran with my friend Janice and we were able to catch up with each other on life. The first two miles were a slight incline so I kept my pace very slow but kept running. 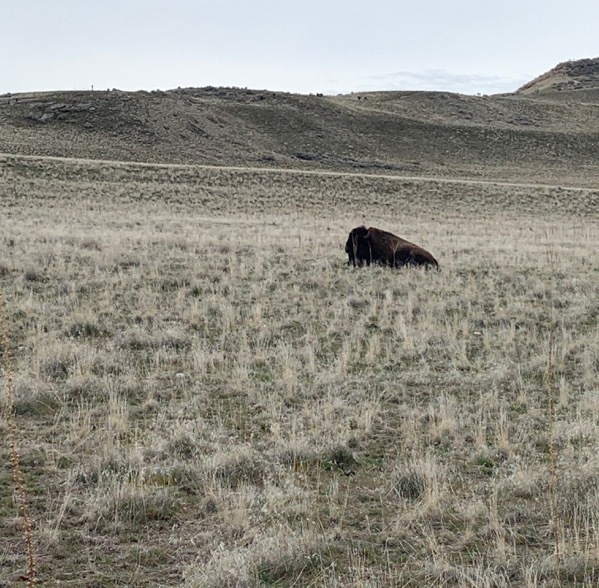 At about mile 4 it was pitch black out and I saw a buffalo not too far off the trail from me. <—That is a situation that I never want to experience again ha (especially because on Friday night somebody sent me a video of a buffalo attacking people). At about mile 6 a big incline began so I did a lot of power hiking and continued to power hike on the ups for the next 12ish miles. I was getting passed often which made me think I was doing it wrong but I knew I would blow up if I tried to run the ups. At this point below you do a little out and back that is 3.5 miles. As you run through the aid station at about mile 7 they check you in and then you run out to a box of stickers. 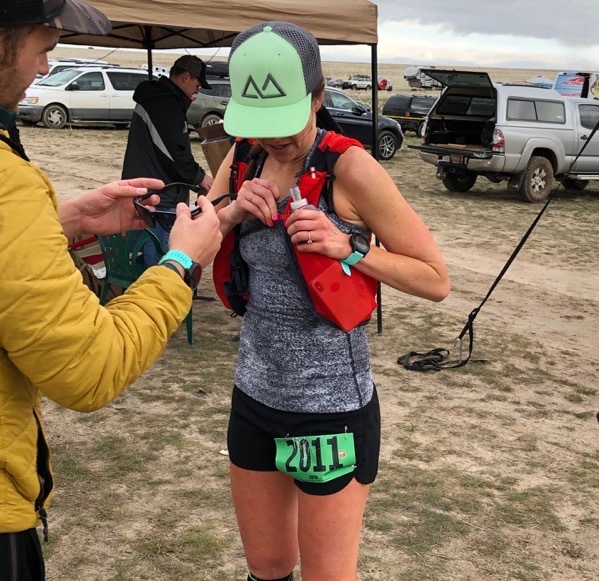 You grab a sticker and place it on your bib before checking back into the aid station again and beginning another loop. The views were UNREAL. That is the Great Salt Lake below. The snowcapped mountains across the lake were stunning. Here is the beginning of about a 5 mile loop.. A nice steady decline before you zig zag back up the mountain again (miles 12-13 had about 550 ft of gain in them). I had a bit of coughing on the uphills but overall I think the virus I had was beneficial for me leading up to the race. It truly got me to rest (for about 6 days straight) which is something I have a hard time doing on my own. I hope to never get a virus again before a big race but there was a bonus to it (all of the resting) and I got over it just in time. 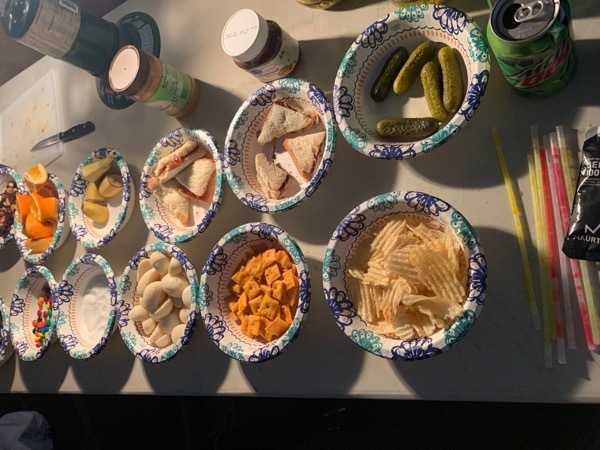 I had probably about 700 calories before the race started and made a decision that I would eat no matter what every three miles… Even if I felt terrible and even if food sounded awful. I forced the calories in because you cannot possibly run for that long on poor fueling decisions. I had a Powerade in one of my water bottles and water in the other. Every three miles I ate about 120-150 calories and that worked really well for me. I didn’t fuel during the last 8ish miles of the race but other than that, I stuck to my every three miles rule. If I wanted 50 that day, I had to follow this rule. 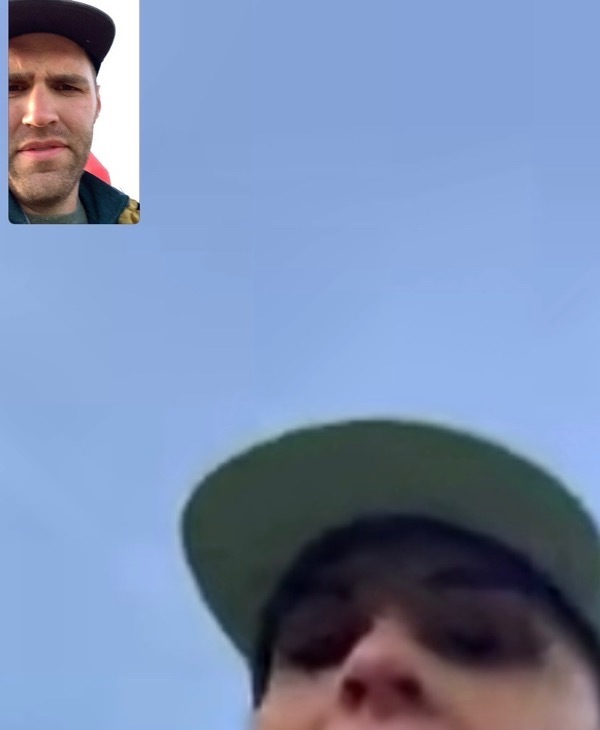 I FaceTimed Andrew at about mile 17 to give him a heads up of where I was and what I thought I would need when I saw him in a few miles. For the first 19 miles you don’t see anyone besides the other runners and volunteers (which is the same course from Andrew’s race a few weeks ago… there is no way for spectators to get there) so I was really looking forward to seeing Andrew and Toby at this point. I chatted a little bit with people and everyone there was so incredibly friendly. Everyone was telling each other ‘great work or good job.’ I loved how friendly and encouraging everyone was at the race. Oh before I forget, one of the toughest part of this race for me was all of the mud. In many areas it was slippery and you had to avoid a ton of puddles the entire time. It got a little tiring to do all of the weaving around the puddles BUT the rain brought clouds and perfect temperatures so I can’t really complain. I stepped in a ton of puddles when it was still dark out which meant my socks were completely drenched and I had blisters forming from the very beginning. 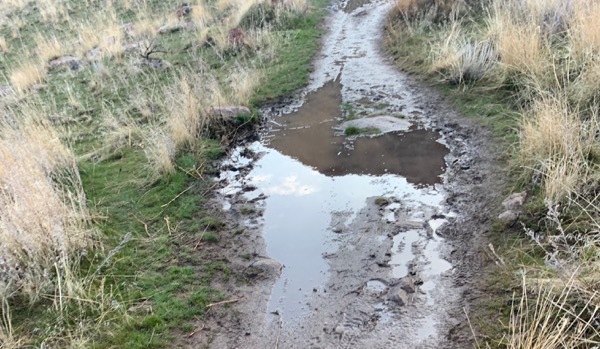 I probably should have changed shoes and socks but I just knew there were more puddles to be stepped in up ahead and my feet were going to hurt no matter what so whatever. It will probably be a few days before I wear anything but flip flops now ha. I was by myself for many of the 1st 19 miles so I put in some podcasts which were great for about an hour and then I turned on my music. I thought I would be able to listen to podcasts for hours (and had a great line up ready) but I just needed a good beat and plenty of singing out loud occurred. I was so excited to see my people. At mile 19 Andrew had a glazed donut and I ate that but below are the foods that most of the aid stations had. I usually grabbed a few things from each aid stations but stuck to a lot of the food that I brought too. From here I went over to an out and back area that you check into and then another out and back area that led to the ranch where I met my family. Andrew drove back to get the kids and this is the sign that Brooke made for me:). The first time I saw them I teared up. I loved having them there cheering. Miles 26-33 were very rough. And 26-36ish were by far the darkest/hardest of the entire time. At mile 26 I knew I had a good chunk of time before I would see my people and the headwind was very hard for me. The hills were rolling and it just felt like the longest stretch ever. At this point below I had been running for about 5.5 hours by myself and I was feeling very nauseated. Andrew, the kids, my mom, Toby, Austin and his wife were all there with everything I needed set up along with a chair and I sat there and just cried. I got in my head and I just let all of my emotions out and didn’t know if I could finish. 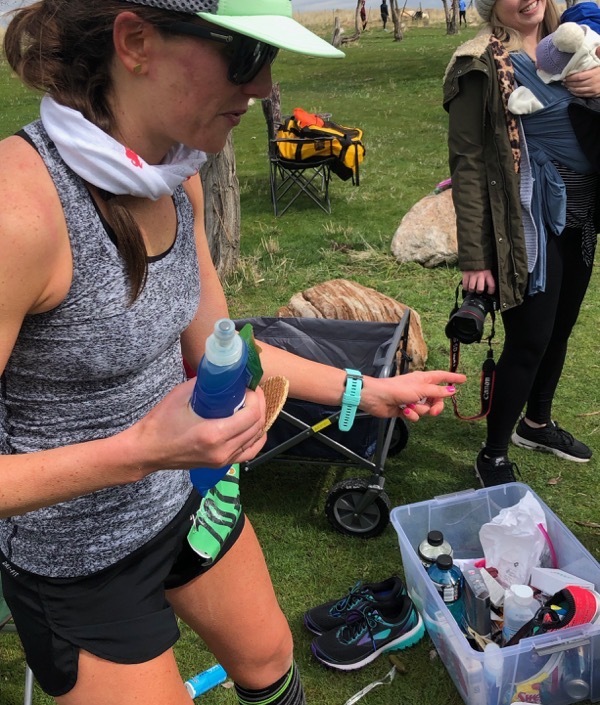 My body was trying to throw up and my pack had been chafing me like crazy (even with all of the Dove Deodorant and anti-chafing cream). At this point Austin thought I was going to take about 10 hours to finish and at this point I made a deal with myself I was just going to finish one mile at a time and go from there on how I felt. I had some bacon, dropped off my pack with them and just carried my bottles and fuel. Austin gave me a bandana to put around my neck that had ginger and mint essential oils on it and I put it over my nose for a minute and I 100% feel like it helped my nausea to go away. At mile 38ish I had a ton of Ginger Ale and Coke and between the bandana and the Ginger Ale, my nausea peaced out until the end. PS I ate so many of those Fig Bars from Costco during the first 30 miles and while eating my last one it took me about 5 minutes to actually be able to swallow it. I will NEVER in my life be able to eat one of those ever again. I also never want to eat Salt and Vinegar chips ever again. Ever. PPS I was so nervous before picking up my pacer that I was going to get lost somehow but this course was marked perfectly. I felt very secure the entire time and never got lost. I also never fell the entire time (but saw some pretty bad falls) while I was out which made me feel pretty lucky. I twisted my ankle a few times but other than that… nada. PPPS I waited until mile 33 to take caffeine. I am very glad that I waited until then. I needed the extra pep at this point big time and took two nanohydr8s. Thank you Andrew and Toby again for just handing everything I could ever need right to me. I told myself to get back out after sitting down for 10 minutes and tried reminding myself that these feelings were going to pass, they always do. I couldn’t predict what I would feel like in 10 miles so I just needed to focus on the now and get through one mile at a time. I also thought a lot about different training runs that I had done leading up to this. IE When I got to mile 22 I would think, ‘okay, you did 25ish miles one day in a complete blizzard before the kids went to school… you can do this now in perfect weather.’ Turns out I am a good luck charm for perfect race weather lately (St. George was perfect too last fall)… I can’t imagine doing 50 miles in anything other than the cloudy, 48ish degree weather that I did on Saturday. I do not know what I would have done without having a pacer. After getting through a few miles of pain with him it turned into something really fun again (like the first portion of the race) and he kept me thinking positive and hopeful. I liked having him run in front of me so that I had motivation to keep going. That felt good. 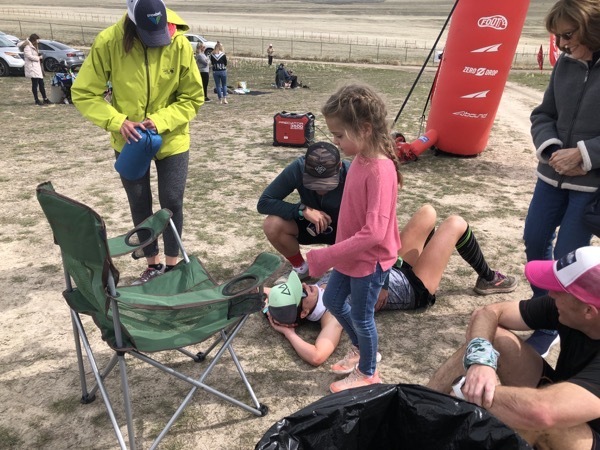 At this point I was feeling a lot more like myself (I’m telling ya… these terrible feelings during races come and go so don’t quit ((even though I wanted to quit more than any other race in my life during this time ha)). Megan D and her whole family showed up and it was a total surprise. It gave me a HUGE burst of energy to see them too. 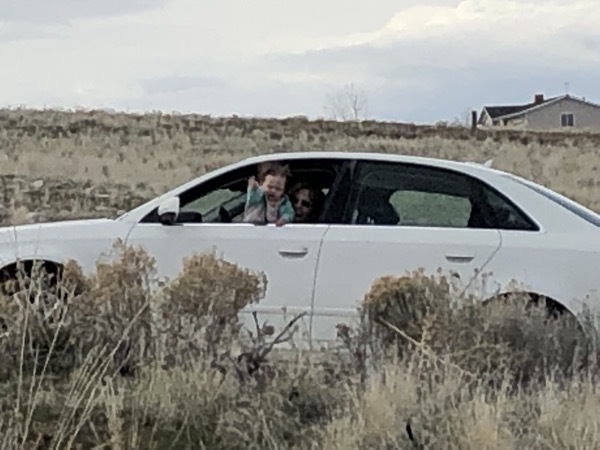 This was at about mile 43 and it was the last time I saw my family before the finish line (besides them driving by a half mile later). See you in a few miles! It was so hard to not run over and pick Skye up when I saw her reaching for me in my mom’s parked car. Austin told me a few times leading up to the end that during the last 7 miles we were just going to go for it. It was going to hurt but whatever… we needed to push during those miles. The faster I went the faster I got to see my family is something I kept thinking. He put on some music and we cruised. During those last 5 miles I felt that same crazy kick that I felt in the last 10k during St. George last year. I found myself smiling and telling Austin how much fun I was having. I honestly felt the best that I had the entire day (not the freshest) but so energetic and we booked it. 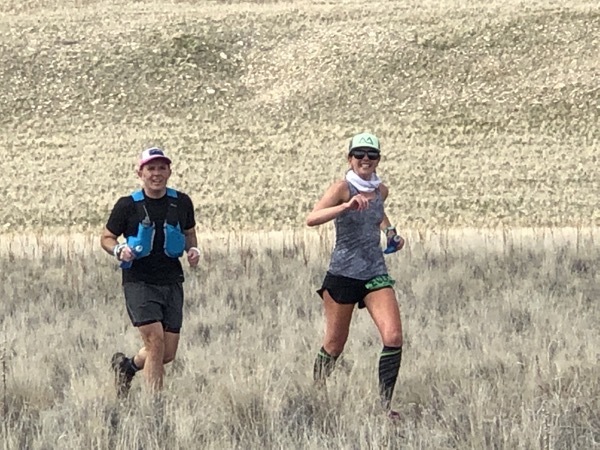 We saw the 3rd place female up ahead and passed her at about mile 46 and then 2nd place finished 8 minutes faster than I did and 1st place finished 31 minutes faster than I did! We turned off the music when we came close to any other runners or buffalo. Here is what the elevation looked like (my watch didn’t pick up the elevation for the first two miles… the start and finish were at the same place)! There was about 3500 feet of climbing throughout the course with most of it in those first 19 miles. Here are my splits (the first two were about 8:50 but I think that was off because it took two miles for my GPS to pick up the signal and they were actually slower than that). Also, at mile 19-20 I stopped my Garmin out of habit when I stopped to see my crew for about a minute before I realized that you don’t stop your watch IN A RACE!!! I finished in 8:46:14. I had two goals that I told a handful of people before the race… to get under 9 hours and to podium. Of course I was going to be beyond happy to just finish even if I came nowhere near those goals but I like having some goals that scare me a little bit… they got me out the door on those ridiculous winter mornings to train. 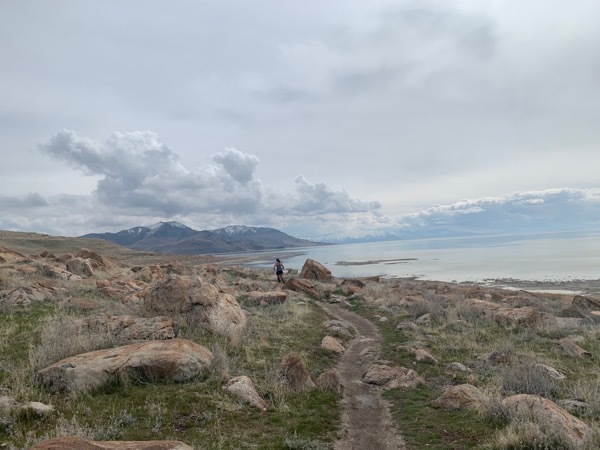 During those last few miles I kept repeating my current favorite mantra, “I can and I will” and thought about how good it was going to feel to just lay down on the ground. 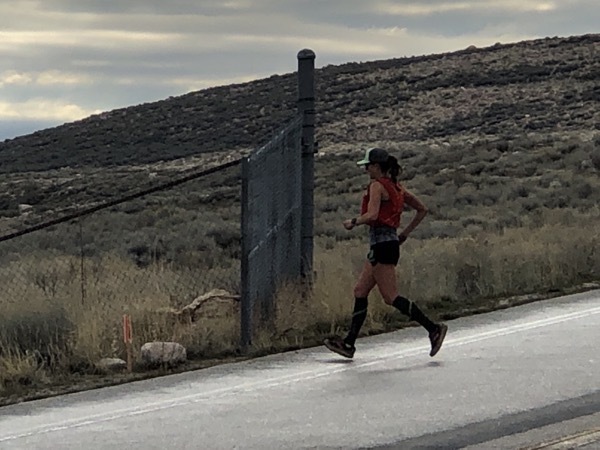 My body felt more spent at the end of this race compared to previous races but overall I felt better than when I first finished St. George Marathon last year and just wanted to sleep for 10 hours straight. I just laid there, smiled and soaked in the accomplishment. Many hugs and a leg massage from Megan D… heaven. Andrew’s whole family came to the finish line too. It meant the world to me to have so many people there… They are all the best. After the race Toby had a blanket for me and helped me change into my sweats because it was not something I could do on my own ha. I had a massage and just soaked in the race scene. My sis-in-law took the kids back and it was nice to just not move fast at all and hang out. Sure grateful for this team of mine. *Do I want to do another one? Absolutely. Yes. 100%. Do I love the trails more than road racing? I love them both with all of my heart which is a good situation to be in:). *I highly recommend the training plan from this book that I used. It definitely got me ready for race day and I loved all of the advice she offered throughout the book. *My pilot brother told me that I technically have 3 new prs now… Saturday PR + a PR in my previous race in October = 2 PRs in a row which technically makes 3 PRs;) It makes sense in my head. *I won the most prize money I’ve ever won in a race—> $180 wahoo! *After the race we grabbed food and went back to my in-laws. I took a shower and then an hour long bath with the jets on. It felt amazing. 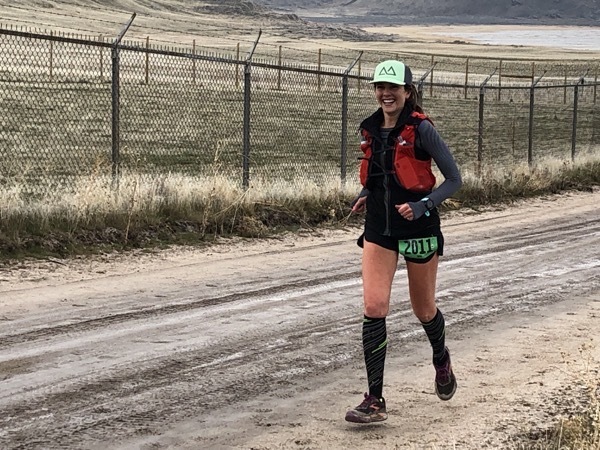 *I stopped to pee once on the course behind a big rock and once in a port-a-potty at an aid station… I am very grateful I didn’t have any stomach issues during the race (<—TMI but this is stuff that runners talk about:). *Nothing tastes better than soda in those last miles. Nothing. *You can find everything that I packed in this post. *Saturday proved my other favorite mantra… ‘I can do hard things.’ And I’ll think about this race at other times in the future. I thought about hard races/life situations in the past that I made it through and that helped me to continue to do a hard thing on Saturday. Our brains are so powerful and if we can prove to it that we’ve done hard things in the past… it builds our confidence that we can keep doing the hard thing we are doing in that moment! *I still want nothing but salty and savory foods. I overdosed on sweet items during the race (gels, honey stinger waffles, fig bars, donut, jam on bread etc) that it might take awhile to want sweet foods again. My ears don’t hurt and that’s about it;). I’ve never been this sore after a race. I can walk like .5 mph right now and that is it. I walk around better after having a baby than after this race ha. My right hip flexor is screaming at me and the blisters are not happy either. My core and biceps are surprisingly really sore. But it was all worth it. Keep chasing those feelings of accomplishment. Keep getting outside of your comfort zone. There is nothing like it in the world. And I can’t wait for what is next (after I get in some rest, sleep and figure out what is next;). Thanks for following along with this ultra training, it’s been quite the experience. PS this post was written at 3:30 a.m. on Sunday morning when I woke up hungry. I went to the kitchen to eat and took my food over to the computer because I was wide awake. I’m going to need a few naps this week. What’s next for you? What goal are you chasing or thinking about a lot (in life and running). I’d love to hear about a time you wanted to quit in a race but then you didn’t! Have a food that you NEVER want to eat again after feeling sick from it when you ate it?! This is the BEST post! Congratulations, Janae! What an AMAZING experience! And a killer 50 mile time!!!! I did one 50 miler a few years ago and I’ve been thinking I can’t do one anytime soon because of the time it takes to train, but you make me want to find the time. There is nothing like that experience. It’s so different from a road race–it definitely feels more like a team effort, and I love that. I can’t wait to hear your next goals!! My next goal is a sub-3, but I have a lot of other little goals that I have to meet to get me there. Haha. I am cheering you on for that sub-3. It is ALL yours Mollie. You can and you will. Congratulations- what a beautiful course! Thanks Amelia and I totally agree… it was gorgeous. Have a wonderful day! Thank you so so much Mendy, that means a lot to me! I hope you have a beautiful day and thanks for reading. Keep in touch!! Absolutely wonderful insanity! So happy for you.. you have a wonderful support team! From the pep talks, to the visits, to the bandana, to the advise and pacing…. everything. Wonderful job, Janae! “Absolutely wonderful insanity”…. hahaha best description ever for the day. Thank you so much Wendy, have a wonderful day! Great accomplishment Janae!! Amazing what you were able to do, along with having a new baby and two little ones at home. Enjoy all the food and rest and thanks for chronicling your journey for all us mortals!! Thank you so much Jennifer and I look up to you guys more than you know! Time for the third meal of my day already haha. Have a beautiful Monday! Oh thank you so so much Karen. AHHHH 3 weeks to go! I’m so glad you are back running after your knee injury. You are so strong… atta girl! Way to go!!!!! What an amazing example you and Andrew are for your kids: teamwork, goal setting, and supporting each other. I hope you’re able to get lots of naps and relaxation in, although that’s hard when being a parent. Wow… thank you so much Angie. That means a lot. It sure is fun to have them see us doing these things. I’m going to sneak in a nap today wahoo. Have a beautiful day! Wow! Amazing, Janae!!! I loved this recap. I got chills and a little teary when you wrote about seeing your family. You certainly can do hard things :) Congratulations. Yay! Yay! Yay! That’s about all I can think after reading your recap and imagining your day! 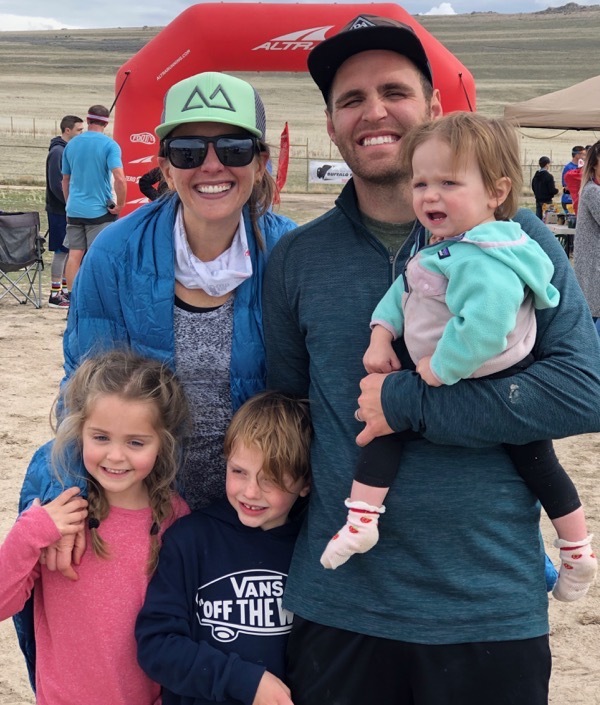 I teared up when I saw the first pic of the kids running with you–such a mush–and then several times when you mention your support along the way, from family, friends, other runners, etc. What a fabulous bunch of family! I just love that pic at the end of everyone surrounding you, and the happiness in your accomplishment! I AM SO STINKIN’ PROUD OF YOU, JANAE!!!! Girl, you are AMAZING. YOU DID IT!!!! Love how you keep setting goals and kicking tail while chasing them down! What an awesome job, Janae! You’re such an inspiration and this post is exactly the kick in the pants I needed this morning to go get my own 5 miles done. Can’t wait to see what you do next! YOU ARE AMAZING! What a blessing to have so many friends and family that supports you in doing things you love. Great post! I hope you start feeling like yourself again soon, but enjoy this time! You’ve more than earned it. This was SO incredibly inspiring to read. Janae, I loved reading this! Thank you for letting us into your world. Beyond proud. I am doing a half marathon training plan to see if my body can stay uninjured if so I will transition to a marathon plan. Fingers crossed. Enjoy all the saltiness. Ymmmmmm. You are so incredible! I’ve been so looking forward to this post! My first 50 miler is in 6 weeks and I lost 2.5 months of training due to energy, so I’m trying to soak up any info I can and get as much training in as possible! I got emotional watching your Instagram story as I was so excited for you! What an accomplishment, and something no one can ever take away from you! Rest, recover and celebrate! Super deserved! Ahhhhhhh!!! I just literally don’t even have the words. I’m so so so happy for you and so excited that you just crushed it. I love that you overcame so much and then we’re able to finish so strong! Congratulations again friend! Hope to see you again soon. This is so exciting!! You will want THOSE foods again…during a race :) Coke and Ginger Ale rock! The bandanna with essential oils!! What a great idea!! You may hurt like heck today, but I bet you will find you recover faster from this race than a road marathon. Now, alllll the recovery foods, and some treats. It may take a few days for your appetite to return. AND it will in full force! Great job!!! Now I want to sign up for this 50 next year! Congratulations! I completed my first 5K on Saturday that I didn’t just walk. I did 8 rounds of running. It wasn’t easy because it was very windy in Philadelphia, PA. However I kept thinking of how you were doing 50 miles so 3.1 miles under windy conditions isn’t that hard. I look forward to your blog posts everyday. You are such an inspiration! SHERRI!!! I AM THRILLED FOR YOU!! Huge congrats… and doing it in the wind too?! I am so happy for you. Soak in that accomplishment. Have a beautiful day! Congratulations on an amazing job! I was anxiously watching Instagram and the blog the last two days for any updates!! I barfed up a lot of ground turkey when I was pregnant and morning sick. My baby is 20 months now and the thought of ground turkey still makes me wanna wretch. I get emotional reading your race caps, so I can’t even imagine how emotional this race was for you. You are amazing. The best part of my weekend was running a new 8k PR at the Chicago Shamrock Shuffle! Up next is my first half marathon in May! YOU ARE AWESOME! I got emotionally reading this! And started crying myself when you mentioned you sat down and cried. I was feeling everything along with you. I’m going to reread becUse it was so inspiring. And thanks for sharing all this and the details. I can imagine it’s hard to still have to work and write blog posts after an exhausting race. You are SO amazing. Congrats!! When I ran the NYC Marathon the 59th Street Bridge is so long and quiet and then you still have a good 10 miles to go after you cross the bridge. I wouldn’t say I was about to quit but it was the toughest part of the race for sure! Rest up and enjoy your week!! You are such an inspiration!! What an accomplishment! Your determination amazes me! Rest up because you deserve it!! Congratulations!!! I loved reading all those details and all you went through during the race! Keep resting and recovering – you’re amazing!!! Next big challenge is hiking this second half of the Appalacian trail this summer. I’ve done th first half already. I have about 1000 miles left and will typically hike 20 a day. It’s physically demanding, but mentally it is extremely hard. I think I miss normal food the most. I hope you enjoy your 2 weeks off (or maybe more? I remember you saying you take 2 weeks off after a race) and wish you all the Mexican food in the world because that’s what I want after a race! Congratulations!!! You are so incredible and such an inspiration in many ways! Congratulations!!! Now eat all the food, and rest, you’ve earned it. Congratulations!!! Rest and eat all the food, you have earned it. Incredible! Congrats on a great finish. It takes a village to raise kids and takes village to care for a runner!!! You are amazing!! To nail both of the “scary” goals you set – what an accomplishment! Get lots of rest, eat lots of food, and plan for the future! Can’t wait to see if it includes another ultra after CRUSHING this one. Congratulations!!! It sounds like such an incredible race. I can’t even imagine how accomplished you feel! I ran 2 25k trail races and felt so accomplished. It’s awesome to see you conquer road races as well as trail races too. I’ve had a couple of road races I’ve wanted to drop out of. Usually half marathons. A couple years ago I ran a half in Atlantic City and I just felt burned out and like garbage. I took a few months after but I feel accomplished for finishing. 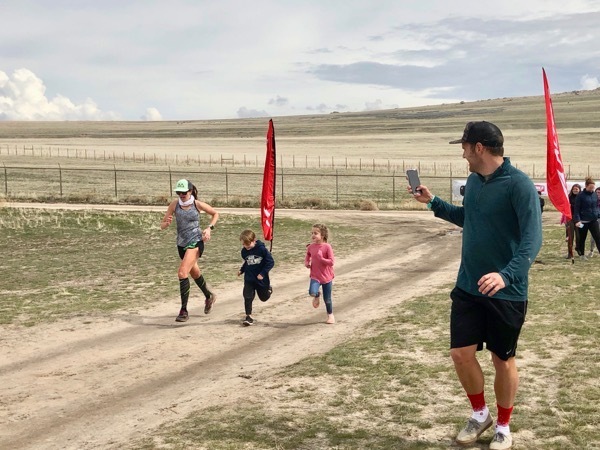 As someone who has struggled mightily with stomach issues while running, the most shocking part of this race recap (to me) was that you just finished saying how you were trying not to throw up…and then you ate bacon! :p I’ll remember the ginger next time I am not feeling well while running – that’s one thing I’ve never tried. The biggest congratulations to you! You are a rock star!! JANAE!!!! You’re incredible!!! I teared up a few times reading this, it was so powerful and emotional. Thank you for keeping things so REAL!!! I swear, you’re a huge, huge, huge reason why I run. Hearing about the good and the bad keeps me going. As I ran my 3 (lol) miles on Sat I thought AT THIS VERY MOMENT JANAE IS RUNNING THIS DISTANCE X 1000 (okay math is not my strong suit but whatever). I just signed up for this big 10K race in Toronto that is in 7 weeks (there are over 20, 000 participants) and printed out my training plan and stuck it on the fridge, and I’m REALLY EXCITED!!! Thanks for being an inspiration. NOW RELAX AND CELEBRATE YOUR ACCOMPLISHMENT!!!!! And take 1000 naps. Congrats, Janae – You are an inspiration! My next big goals are getting my body ready for some upcoming big races, and then for a pregnancy! Wahoo! I’m so proud of you!! Seriously, what an amazing accomplishment! 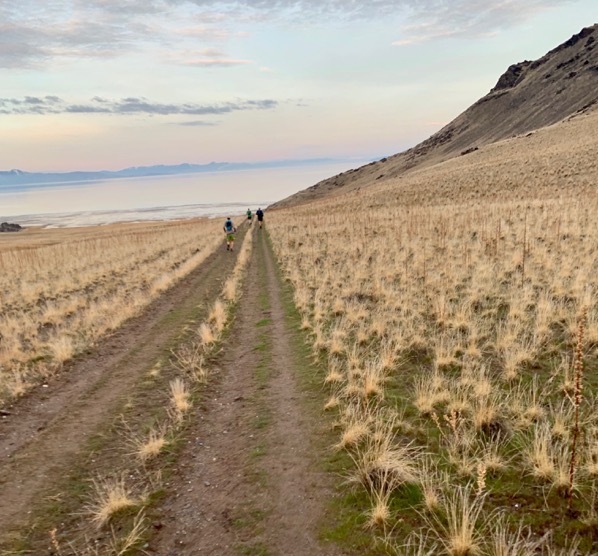 I’m doing a 6 hour ultra in a couple weeks, which will be interesting, because I haven’t run over ten miles all winter. This is truly a “whim” decision, and all proceeds go to a good cause, so I couldn’t say no. My goal is simply to move for the full 6 hours. I definitely know that feeling of utter despair during a race. I feel like pushing through that is such an accomplishment. You had quite the support system, but ultimately, you had to get your own bum out of that chair again :) Again, I’m so proud. So simply — I AM VERY PROUD OF YOU!!! Congrats I’m so happy for you! You make me excited to try an ultra someday in the future! So hard as a mom to fit in all the training runs. I am so impressed that you got it all fit in. You are so amazing and inspiring!! How wonderful to have so many supporters during the race as well. Hope you get some naps and rest this week. CONGRATS, you ROCK!!! I had to shift around some of my half training runs this week which led me to doing back to back runs yesterday and today and I kept thinking, Janae says this is a deposit in the training bank! Granted it was 4 and 3.5 miles….but we all have to start somewhere :) Love getting to follow along with your awesome accomplishments! And the mother in me is glad you are feeling better! This is probably one of the best race recaps I have every read! Congratulations to you on this amazing accomplishment. I have never had a goal of runnign a 50-miler, but having followed your journey kind of makes me think about it. Enjoy recovery! You most definitely worked your tail off for this goal. And to podium in your first Ultra….dang! That is incredible! Congratulations! 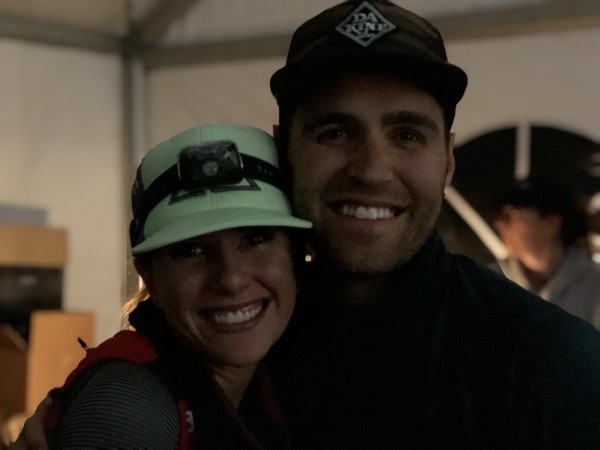 I have really enjoyed following your ultra training and reading this post made me feel so happy for you! You are so inspiring, and Im excited to see what you have lined up next! Totally incredible! You should be so proud of yourself! You are an inspiration and I love reading your blog every day. I am excited to also get outside of my comfort zone and chase some goals this year and borrow some of your mantras along the way! Congratulations!!! Congratulations! You are amazing and such an inspiration! And thank you for the detailed race recap. I enjoyed reading about your day so much. SO AWESOME!! I’m so happy and proud for you! I had tears in my eyes just reading your recap. I just love how everything worked out and you had such a great experience. Enjoy your naps and recovery! Congratulations! I’m proud of you for hanging tight to your plan and hiking those first miles of uphills – it paid off so well for you in the end! And back chafe- or pressure- pain from hydration packs is soooo real. I’m glad you could ditch it and continue without (I couldn’t on my 30 miler and my back was sore to touch for almost a week afterwards). Once in college I figured pbj sandwiches cost about 17 cents each. So if I ate 5-6 a day, my daily food bill would only be about a dollar. I made it about a month – then didn’t eat jelly for 2-3 years and no peanut butter for 3-4 years. I also worked a summer job at the bagel store and after scrubbing cream cheese containers every day, didn’t eat cream cheese for a few years, either. CONGRATULATIONS!!! I’m so happy for you, Janae. You hit both of your goals and that is something to be super proud of. You’re such an inspiration. I hope your recovery is swift. Congrats again! Great recap! Enjoy your much needed and deserved rest this week!! CONGRATS! 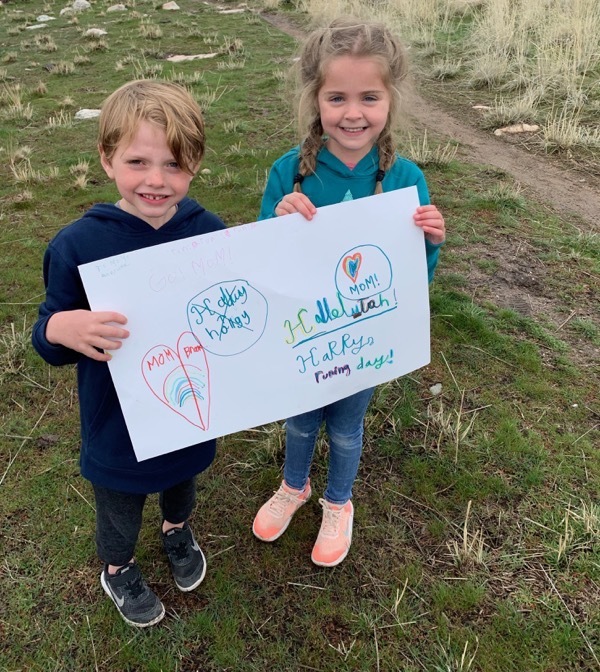 Way to go — yay for setting big goals and accomplishing them! This was fun to read. I related esp. to only wanting salty/savory foods after (for at least a week) and the soreness. I finished my first ultra (50k) last weekend, and it took ~5 days to get over being super-sore. the naps. Yup one ultra is never enough haha. My next goal is likely a 50km. And to race it rather than finish. And to work on some career goals. Best part of my weekend was a long run in which I bumped into friends and got to share a few miles. Oh the race I wanted to quit.. I ran a race called lost souls ultra 100km in 2017. It waa a smoky hot race..like 104 degrees farenheit and the smoke from recent forest forest fires made for an interesting day. The race is 2 loops and the first loop ended at race HQ which was also the parking lot of our hotel. I sat down and sulked and almost quit right then and there. Haha. But I told myself I had to go another 7 km to the next aid station then I could quit. I finished. It wasnt pretty but I finished. CONGRATS!!! That is an amazing accomplishment! And the views from the course looks gorgeous! When I did my first (and only) marathon, I wanted to quit so many times. It hurt and I was running by myself a lot (it was a small race), which was just hard for me mentally. But talking to the few people I did see on the course and running with them encouraged me a ton! So one of my goals is to do another marathon, preferably one with more people! Congratulations!! What an amazing accomplishment! 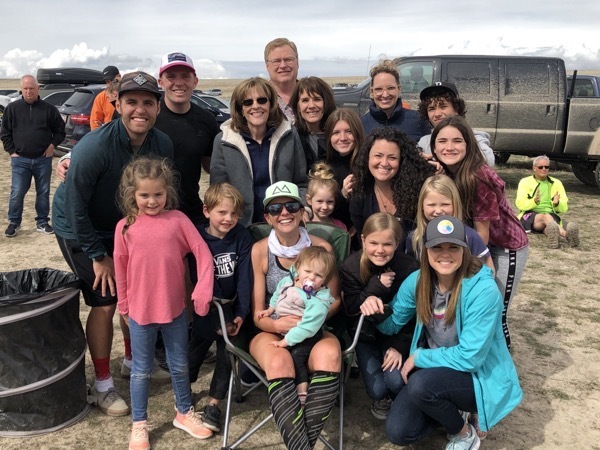 I loved reading your race recap – the highs, the lows, how you kept going – so inspiring! Wow, wow, wow!!! Congratulations! I am so impressed and inspired by you! Thank you for telling us all about it! The good and the bad! You are so right, in every race you will have highs and lows, and getting through the lows always helps you grow and gain mental strength. So proud of you Janae!! Congratulations!! What a fabulous post. I am so happy for you that you had all of your “people” with you. Amazing! Congratulations!! You are amazina and inspiring!! 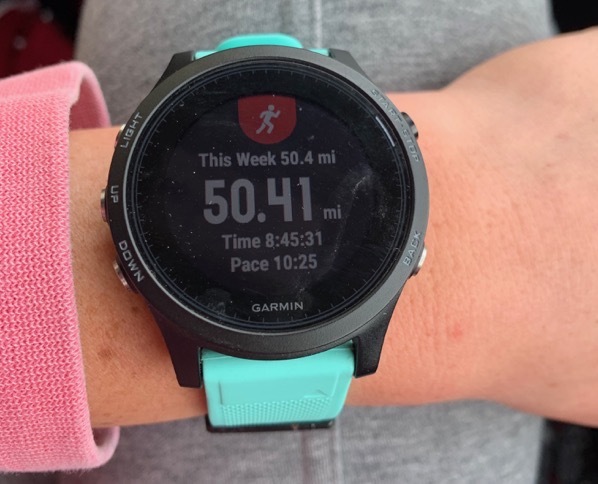 I didn’t ever think I would consider doing a 50 miler but after seeing your experience, I might just try it before I’m too old, haha!! 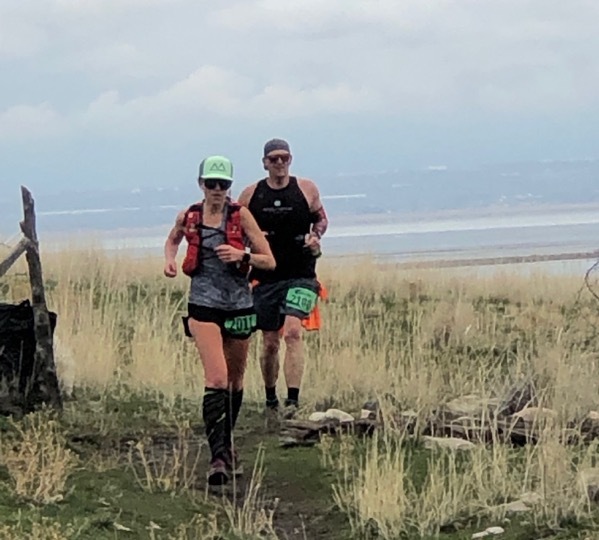 I am almost 52 and my farthest and only ultra so far was a 55k about a year and a half ago but my daughter and I are doing a 50k in November in Moab. You sould check it out, Deadhorse point in Moab. Maybe for my 55th I’ll do a 50 miler!! I am always sick of sweet stuff after any race but I’m sure it is much worse the longer the race!! I felt like quitting during my first marathon because I was so unprepared, I didn’t do caffeine and I had huge blisters, etc. I kept going and finished but did so much better on my next marathon. I am so cheap too, I figure I have spent that much money on the race and so much time training that I would only quit if I was injured enough that I couldn’t move, haha. I finished a 10k last year with plantars and I was hobbling for the next week because of it, thank goodness it wasn’t a longer race!! Again, congratulations!! What a great feeling that must be to take 3rd too, on your first one!! I am much slower but I do love running and thanks for sharing your blog, it has helped me a lot!! Have a great week of resting!! CONGRATS!!! Incredible job on the race. Such a huge accomplishment!! Be so proud of your hard work and give yourself some well-deserved rest!! Congratulations Janae! What an accomplishment! You inspire me to try hard things and to persevere through the rough bits (even if min aren’t running related)! I hope you get lots of rest and soak up all the good post-race feelings. Congratulations!! You are such an inspiration for me. I’ve been reading your blog everyday for almost two years now. My life is changing a lot right now and I’m feeling a little lost. I ran my first half marathon last fall and even though I was happy I did it, ready this blog post just made me reflect on it and made me realise I accomplished something big and I have the strenght to push through the hard things that come my way. Congratulations!!! What an incredible experience!!! Congratulations! You are so inspiring, I’m so proud of you and all the things you accomplish! Also – you have the most wonderful, supportive family, you are so blessed. Congratulations, Janae! You are amazing!! To be able to push your body when your mind was giving up is huge! Thank you for sharing the race experience in so much detail, I read this twice to really take it all in! Can’t wait to see what’s up next for you!! I had to read Brooke’s sign a few times. I kept reading Harry running day. lol. Which could be as accurate as happy running day, I suppose. You did so awesome out there and I loved being able to share in your day. Digging down, not giving up and pushing through was truly inspiring to watch. Andrew, Austin and Toby were amazing to watch too. They were just as determined as you were to complete your/their mission ;) So happy, and maybe harry, you were able to crush all your goals. You’re a machine. Way to go!!!!!!! It’s been so fun to follow your training for this one. And you picked an amazing race for a first ultra– if you run a 50k, it will seem easy peasy compared to this one! You should come run a 50k out here in the PNW sometime! I feel you on not craving sweets after a big run. I have the same experience– too many sweets out on the course (which taste amazing on the run) and then it’s allllll the salt afterwards. I have really been wanting to do a 50 miler (I have run 3 50ks in the past 9 months) and I’m feeling inspired to come out to run this one next year! It seems like an awesome first 50 miler. Congrats again, enjoy the recovery! Gahhhhhhhhhh congrats again! So amazing! Definitely makes me want to sign up for a 50! I’m so glad you were able to let your emotions run and then pull them all together to rally hard! I don’t remember I long tail run/race I haven’t cried during! I had one of the best weekends I’ve had in a long time; my little guy’s t-ball coach appointed me co-coach and the rest of the weekend my boys were calling me coach mom! I got all my house cleaning done before t-ball which lifted mountains off of my shoulders! (It’s the little things!). Sunday we (a couple girlfriends and I) summited a mountain not far from our house and although it was super cloudy, all of the summits we have done were peaking out from the clouds! It was one of the most spectacular things I’ve seen! We ran 3.5 miles down the mountain (from about 3500+ ft ) and I had 0 tendon pain that’s a huge huge win! After eating lunch, we hit up a playground and ball field some batting practice and playground play. And then, to top it off, as I was on the elliptical this morning I got a message from Rob (trainingforultra) that I won a prize from his latest giveaway!!!!!!! Being on the mountains and reading your re-cap makes me excited to be on all the trails in all the mountains! I haven’t come across a food I can’t eat from running but I definitely do only drink soda while running long distances! I think the only time I truly wanted to quit was during my first half marathon; I was 18 weeks pregnant and developed major knee pain at mile 7. The remaining miles were a very slow walk/run and I hated every second of it! Congratulations! What an amazing accomplishment. To help with the soreness I use the Pure Wave percussion massager. I got it from Amazon and its totally worth it! Soooo proud of you!!! What a great recap too! I made myself wait until I got to work to read it this morning (I work for a running company, trying to justify the research LOL). I found another one you might like too, Cultra Trail Running Podcast. Rest up, big hugs! I”m sore just reading your race recap! So proud of you and I hope you enjoy ALL of the resting!! SO impressive what you have done! Congratulations! I have tears (happy tears) in my eyes as I read your recap. Thank you for sharing the journey with us. Rest up and recover! I hope you realize how blessed you are to have the support from your family and friends! Congrats!! You’re amazing! And now you’re really getting me pumped for my first 50 miler this fall. AHHH GOOD LUCK TO YOU THIS FALL!!! I’m cheering for you Cori! Thanks! :) you are truly inspiring! Right now my goal is to heal up as quickly as possible from this stress fracture. I am registered for my first 50k at the end of Oct and I am not sure if it’s going to happen or not. I will have a chat with my doc about it as things progress and heal up, and I’ll get his feedback. I definitely do not want to push it b/c 6 weeks in crutches is forever and I never want to repeat this again! I actually used your mantra ” I can do hard things” over and over during the 2nd half of Tokyo. The pain was so bad. I’m no stranger to pain and I can deal with just about anything. But this really pushed my limit. The final 10k of the race was excruciating and all I thought about was that I HAD to finish. I didn’t come all that way to DNF. Plus I knew the faster I got to the finish line, the sooner I could see my husband. There was a lot of crying. As it turns out, I had that stress fracture for the end of my training and before I even got to Tokyo. My MRI showed not only the fracture, but apparently it also pushed the neck of my femur up and tore my labrum. So, we’re waiting to see if that will be an issue in the future. My doc says many people run with a tear forever and are asymptomatic – hopefully I am in that group!! I am always averse to eating sweets after a race, which is such a huge bummer! I always want savory foods for at least 48 hours! Janae!! I am SO PROUD of you! Wow! You killed it! 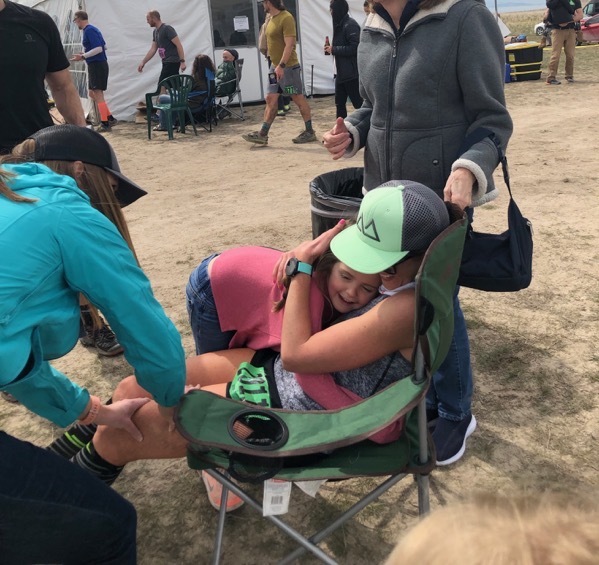 I absolutely cannot believe you had that horrible flu-like virus that has been going around and podiumed your first 50 miler 6 days into it/later (that thing took me 3 weeks to shake). You rock girl! And HUGE PROPS to your crew! You’ve got such a great team and you can definitely tell how much they love you and how much it means to them to see you reach your goals. That is amazing! I am really happy for you! Congratulations! What an amazing accomplishment! You are such an inspiration. The best part of my weekend was running my first half marathon in two years. I’d been sick the week and a half before the race, even had a fever two nights before. I gave up having a time goal and focused on finishing. I wanted to quit. Negative thoughts kept creeping into my mind, but I reminded myself that I spent months training for this. It was worth it. Now I feel ready to tackle other races, and hopefully run my first marathon next winter. I had chills watching your insta stories while racing and chills reading this entire re-cap! You’re incredible Janae! W.O.W.!!! What an incredible accomplishment and post. You totally rocked that race, there was not a doubt in my mind that you wouldn’t. I meant to tell you that I did my 2nd full marathon (Houston Marathon) in January and it was 10x harder than the first I did 5 years before. Not sure what the deal is but I think I am done with that distance, too much on my body. I am just grateful I can still run after being diagnosed with Lupus a year before the first full. So proud of your new accomplishment and PR. Cannot wait to hear what is next. You are AWESOME! I couldn’t find the right words even if I was writing in German, my mother language! Janae, you are absolutely awesome! Congrats on your race and the super result. Relax, rest, celebrate your victim. Hi to your amazing Family! I was meaning Victory, sorry…. Wait, so you never changed socks or shoes? I guess I can look at the pics, ha! Wow. Thanks for another awesome recap. This is really great. What an accomplishment and team effort! Loving the personal pacer <– nice, I guess he's paying it forward. So interesting about the sweet foods. Not even an apple? Your Saturday night salad looked really, really good. It had leafy greens! Wow, just WOW, Janae! So happy your race went so well, even the tough parts. Keeping to your fueling plan I’m sure really helped. I’m trying to figure out what my nearly 55 year old body can handle with running. I deferred the marathon I was suppose to run this month, I just couldn’t seem to get past 10 miles. Still working on getting it figured out. Hoping to have another marathon in me, but I just want to stay active and healthy! The best part of my weekend was teaching the youth class at church. I’ve been guest teaching about once a quarter and I really felt like we connected yesterday. I got food poisoning from a dish at TGIFriday’s once and I’ve never had it again. I do get sick of gels on long runs/races, but I’m okay after a few days. That’s Amazing!! Congrats to you! What an amazing feeling to hit all your A, B, & C goals! You seriously rock! Hard work does pay off! THIS…. YOU…. ARE AMAZING!! Janae, I continually love reading your recaps and this one was the best!! I’m currently pregnant with my first and NOTHING has motivated me more to just keep doing what I can as an athlete than this post here. You’re an inspiration and I’m so glad you continue to share! Congratulations!!! Congratulations Janae! You are amazing! So inspirational! Congratulations Janae! What a great story. So inspiring!! Great recap. Thanks!! I really liked the part where you said a lot of racers were passing you early on while climbing…but you didn’t speed up. It makes me nervous too early in a marathon when people seem to pass me in droves…but when I stick to starting slow…I always end up passing them. Great reminder for nj marathon coming up. CONGRATS LADY!!!!!!!! CONGRATS!! Ah, I teared up reading this and it makes me want to go out and run all the races!! I am just now starting to run a tiny bit after a bad fall (break, sprain, blech) and I did 2 miles on Saturday and 2 miles this morning. My ankle is still swelling a bit after running so I’m just trying to ease back into it. I have a 10 mile trail race on 4/27 so my goal is to finish that without pain! Best part of my weekend was pretty much everything. The weather was perfection. I got to run for the first time since 2/15 and I got to hang out and play board games with the fam. 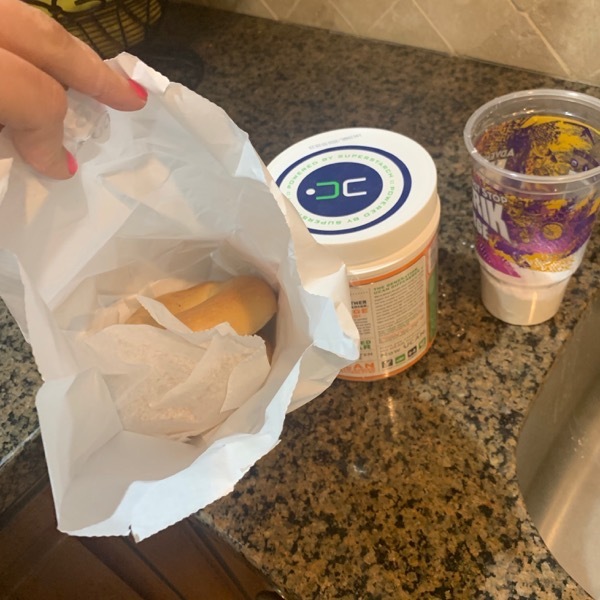 I will never ever ever eat another salted caramel Gu or maybe any flavor Gu after St. George. Blech. Awesome job! You are a beast! I teared up many times reading your recap. Such an amazing job! I appreciate your honesty. Right now just going out for a run is a HUGE feat for me. I don’t know why. I love running. I even look forward to it, but then I start and I just want to stop and go to bed. It’s a strange funk I’ve never been in before, but I’m gonna keep going and get through it. Your blog keeps me motivated. So many congrats to you!!!! I’m so happy you achieved all your goals! I love following you and have been reading your blog since before Brooke was born. Random question for you: does the roof of your mouth hurt?? When I did my first half ironman, the roof of my mouth hurt so bad afterwards which really surprised me. Turns out you can bruise the roof of your mouth from breathing heavily out of your mouth for long periods of time because it gets so dry. Who knew!? What an awesome accomplishment! Thank you for the detailed recap, it is so neat to learn about such a unique race! 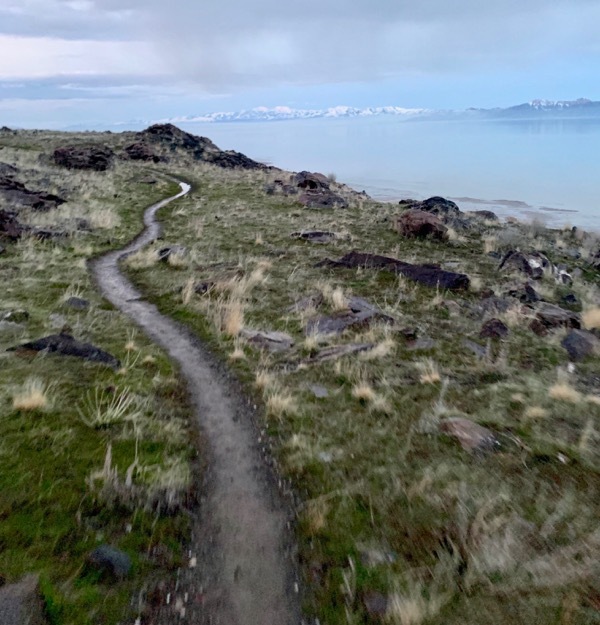 I don’t run anymore but I am enjoying spending time on my Peloton bike and am thinking about following a walking training plan to get me outdoors and moving even during the wet Alaskan breakup season. You are incredible, amazing, so humble, and an inspiration! So so proud of you!!!!!!!!!! HUGE CONGRATULATIONS, Janae!!!!!! I LOVE how you wrote this at 4 something in the morning. Ha. YOU ARE AMAZING! 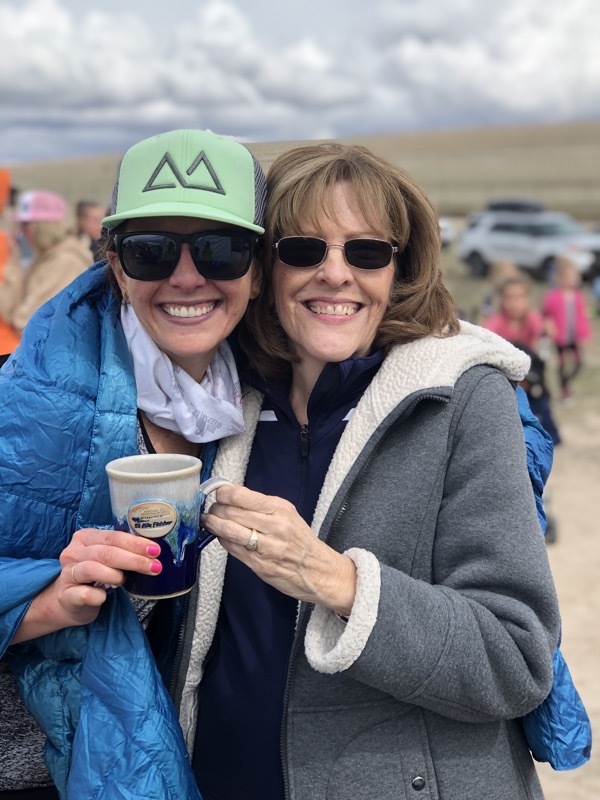 I will be referring back to this post when I get ready to do my first 50 miler in May and will be channeling your strength in those last few miles I’m sure. Congratulations and soak up that post-race glow for as long as possible. You deserve it! Congratulations!!!! I teared up reading this. What an amazing accomplishment! I loved following along on your journey. Thanks for sharing so much! We are so proud of you! I read your post while at work and teared up several times… should have warned us! So, very, very, very happy for you!!!! My goal is a 5k in April and after reading this, I shouldn’t have any excuses not to finish strong with that!!! 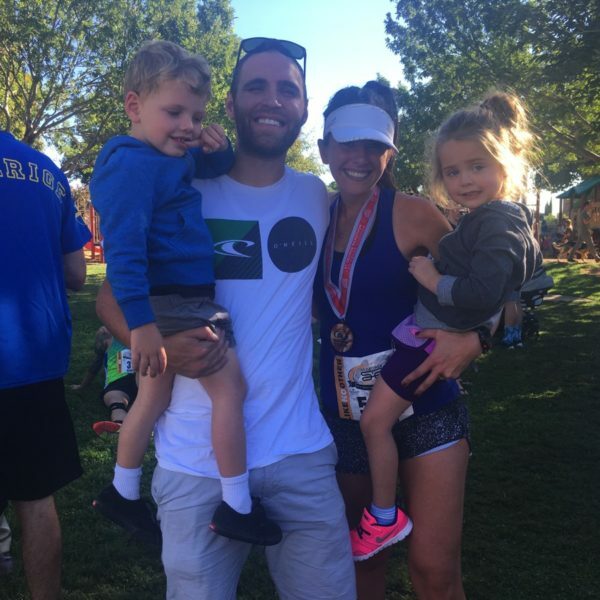 I ran a half marathon in Vegas in 2014 and didn’t train well at all. I wanted to quit. My then boyfriend, now husband, ran with me and pushed me. It was awful, but no regrets. I will be back there this year and will run an awesome race!!! Wow great recap! Little Skye cracks me up with her sweet face :) how special to have such an amazing and supportive family!! I can and I will. Totally stealing that phrase! I’m just wrapping up my last week of 10k training and now I really want to got for a half marathon in October. The longest distance I’ve ever ran before this year was 5 miles and that was once or twice and I’ve only every raced 5k’s. Its been seeing how far I really can go! Best part of the weekend was a family Jeep ride to look for birds! I ate cherry pie when I was a kid and got sick and I still can’t eat it! I loved seeing your race updates on instagram, I even teared up, its so fun to watch you kill your goals!!! Cried the entire time I was reading this post. Such a wonderful testament to hard work and determination. Thank you for sharing your story and taking us along on our journey. You truly are an inspiration! The best part of my weekend was running a 5K yesterday morning that I ended up winning! I was doing it with some friends so I was not intending to try super hard but about halfway through I realized I could win so I went for it! It was only about 40 people, mostly non-runners, and my time wasn’t even that great (20 minutes) but it’s the first race I’ve ever won so I’ll take it! Oh this is so awesome!! You are such a rockstar. Awesome job, girl!!! Amazing ! Congrats to you !!! I loved reading this recap. You did fantastic ! Love your support system too. Awww, Janae, this post made me tear up. I was so proud of you on Saturday, but then to see how many people came out to support you is just amazing. You are loved. I’ll send little prayers to your blisters and legs, but isn’t this soreness the best reminder of everything you laid out there? You are totally inspiring me to go for a big race this Fall! Congratulations, Janae!!! I teared up a bit reading this post because I am so happy for you and this amazing accomplishment! Take the time to recover and enjoy what your body just did! Congratulations! What an awesome recap. I can’t believe that you didn’t change your shoes after running through the puddles! Janae! This is just the best race recap ever. I have been looking forward to reading all about your experience. You’re amazing! And how cool to podium finish too! Did mint gum taste good like you’d been told it would?? I LOVE this entire post, Janae!! You seriously killed that ultra!! I’m so excited for you and cannot wait to hear what you have lined up next! You inspire and motivate me so much so this was probably my favorite post ever from you! :) Congrats, congrats, congrats!! You should be soooo beyond proud of yourself! And what an awesome support system you have in your family too!! What’s next for me is to chase down my sub 2 half marathon. It’s been on my goal list for what feels like forever now. I can’t wait to finally do it this year! I ran my first (and only so far) full marathon mostly by myself. I chose (on accident) a super small race for my first 26.2 and regretted it big time because I didn’t even think about how lonely it gets to run that long all by yourself. I want to do it again, but with a bigger running crowd to help keep me company (and sane…haha) throughout the entire race. I didn’t quit though and met the sweetest older gentleman the last 6 miles who was running his 30th marathon that day! We had such a fun conversation and crossed the finish line together! It was a long slow and painful race, but I finished and that was all I had my sights set on. Have a great Monday and hopefully you get to feeling back to 100% really soon!! This is just…..WOW. You’re awesome. I cried happy tears reading this! YOU are an Ultra runner! Congratulations. I hope you are as proud of yourself as all of us are! This was the best post-race blog ever. When I got to the picture of the whole family gathered together – I teared up! You really helped me understand what each mile was like. One question – what mile did your pacer join you? Congratulations, Janae! That is amazing!! Yippee!!! I hope you loved the bacon! Your race reminds me of my 25k. I had sooooo much energy in the end I finished almost an hour faster then I projected and then I just stared at the guy giving me my mug. Awkward. Gotta have the lows to get so high. Congratulations! Your awesome! This is literally SO inspiring. So happy for you and loved your recap!! Congratulations! Wow! Congratulations! Thank you for sharing this experience! That was so fun to read! Congratulations!!! Thank you for sharing your amazing experience!! What a spectacular course- so inspiring! Now I want to do a trail ultra!! LOVED reading your recap!! Your mental & physical strength are both phenomenal! When I did my first 1/2 Ironman race I had awful stomach issues (I’m a terrible swimmer & think I injested a lot of lake water during the swim 🙈) I couldn’t fuel or hydrate properly on the bike & by the time I got to the run I wanted to quit! I ended up walking most of the run portion, but I finished…I’m stubborn! Can’t wait to see what your next adventure is! 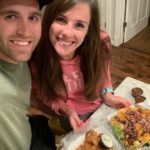 thank you for posting such a great and honest race recap letting to see the house and lows that we all go through during the stuff times. I turn 50 this year and want to run a 50k to celebrate my 50th birthday. when I was little I ate too many pomegranates from my grandparents trees I got violently ill and to this day cannot tolerate anything pomegranate. Enjoy your rest and look forward to reading about your next adventure. Congrats to all of your support team for helping you during the race. Soo happy for you. I’m crying happy tears while reading this. Such an inspiration. Nice job! Seriously BIG CONGRATS on your accomplishment!! Your pacer seems wonderful. Your shoes..oh my goodness, I think my toes would have went numb from being wet and cold. But that family picture of everyone who came out to cheer you on is PRICELESS!! LOVE IT!! Congrats, Janae! I LOVED every word and picture in this recap! I felt like I was right there with you and it brought back memories of when I ran the JFK 50-Miler many years ago. I agree, a great crew is essential and it sounds like you had just the right people supporting you! I’m so happy for you! FINALLY got a chance to read this, Janae! I wanted I give it my full attention. WOW WOW WOW WOW….TIMES INFINITY! 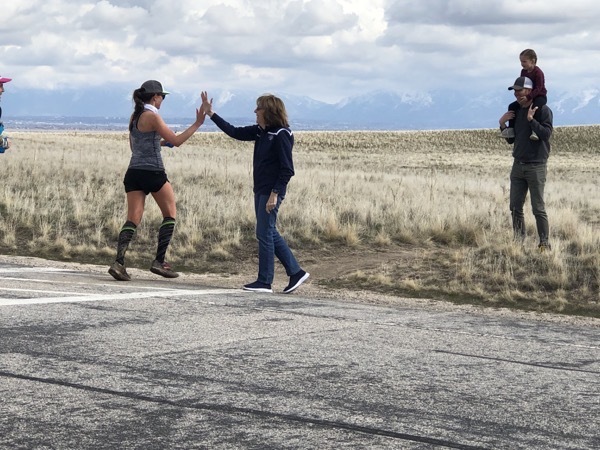 I was impressed and amazed at the thought and knowing you accomplished this race….but now I am just BLOWN AWAY! Omg I am so excited for you! You are amazing! Congrats on this major accomplishment! My 1st Boston is coming up and I am beyond excited!!!!!!! You are such an inspiration!! Not only for running, but for blogging as well! Keep up the good work and good luck in Boston!